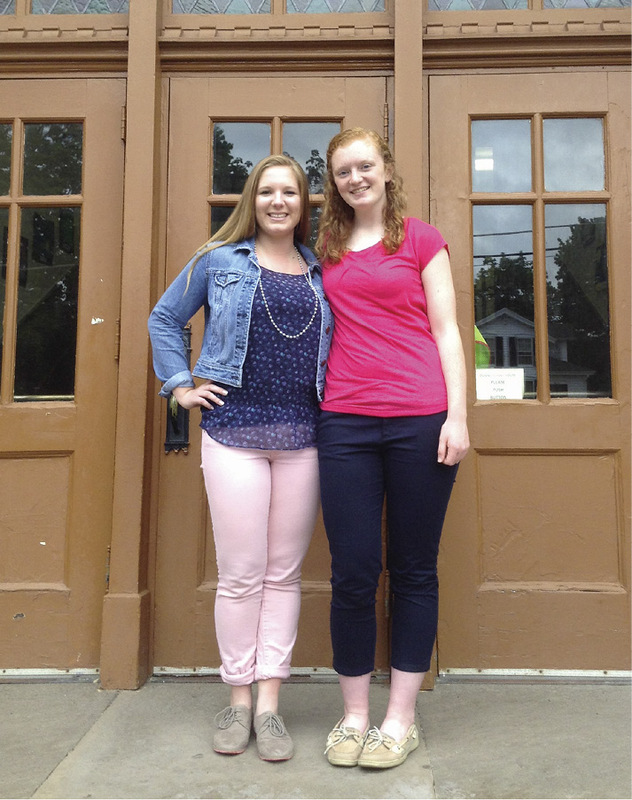 Sarah Mancuso, left, was the 2013 Oswego High School salutatorian, and Madeline Galvin, right, was the 2013 Mexico Central High School valedictorian. Both are proud graduates of Trinity Catholic School in Oswego. It’s the age-old question of nature vs. nurture: does having a Catholic school education, even if it’s only during the elementary school years, better pre­pare a young student for a more successful academic future? Judging by college freshmen Sarah Mancuso and Madeline Galvin, that answer would be yes. Mancuso and Galvin met 13 years ago as 5 year olds attending kindergarten class at Trinity Catholic School in Oswego, NY. The girls immediately became best friends and were inseparable, despite Mancuso being a native of Oswego and Galvin making the daily trip from Mexico, N.Y. Throughout grades K-6, both girls shined academically at Trinity. Following their 6th grade graduation, without a Catholic middle school nearby, the girls were enrolled in public middle schools in their respective towns, forcing them to leave their friendship and Catholic education behind. “It would have been great if I could have kept going to a Catholic school after Trinity, but there weren’t any middle schools in Oswego,” explained Mancuso. had been selected as Oswego High School’s 2013 salutatorian, and Galvin had been chosen as 2013 valedictorian for Mexico Central High School. Sugar was delighted that two former Trinity students had received such high honors in their high school academic careers and invited both girls to return to Trinity this past June to receive recognition awards for academic excellence. In reminiscing about Mancuso and Galvin, Sugar believes the academic foundation Trinity Catholic School provided helped both young women develop important skills for a successful academic future. Both Mancuso and Galvin agreed that Trinity’s curriculum and teaching methods helped develop skills they still rely on today at college. Mancuso also felt Trinity gave both her and Galvin an edge. “Teachers at my middle school always told me they could pick out which were the students from Trinity immediately because those students had great manners and were disciplined in their study habits,” she said. Mancuso, a freshman at SUNY Geneseo whois planning to go into the health field, is also enjoying college life. “I really like Geneseo and I like the classes in my major, biology and chemistry,” she said.